Join me for the first Wannabe-style episode of Spoil Me! 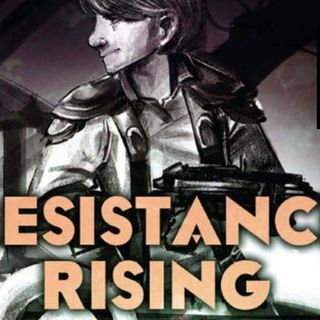 in which the author of the book, Robin Farrell, joins me on the mic to discuss Resistance Rising: A Genre Wars Novel. I confess that I was a little nervous about doing an episode where I reviewed a book right in front of the author, but thankfully this book was a lot of fun and Robin was cool, so it wound up being really fun. This book, which one might be able to tell from the title, is a fun mish-mash of all kinds of genre tropes that ... See More are played against each other in a way that is surprising, funny, and a little subversive. I really feel like the only thing I need to tell you is that there are spaceships, elves, pirates, steampunks, and a magical ball of light/a crystal that everyone seems to want.